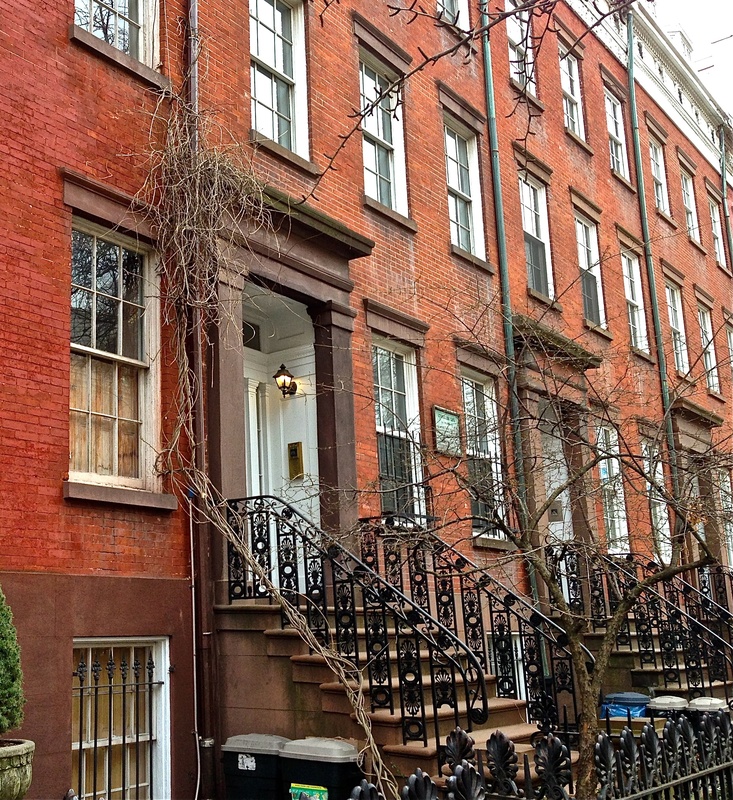 Chelsea has more than its share of gorgeous homes. But a row of townhouses stretching along the south side of West 20th Street between Ninth and Tenth Avenues just may be the sweetest and have the most historical cred. 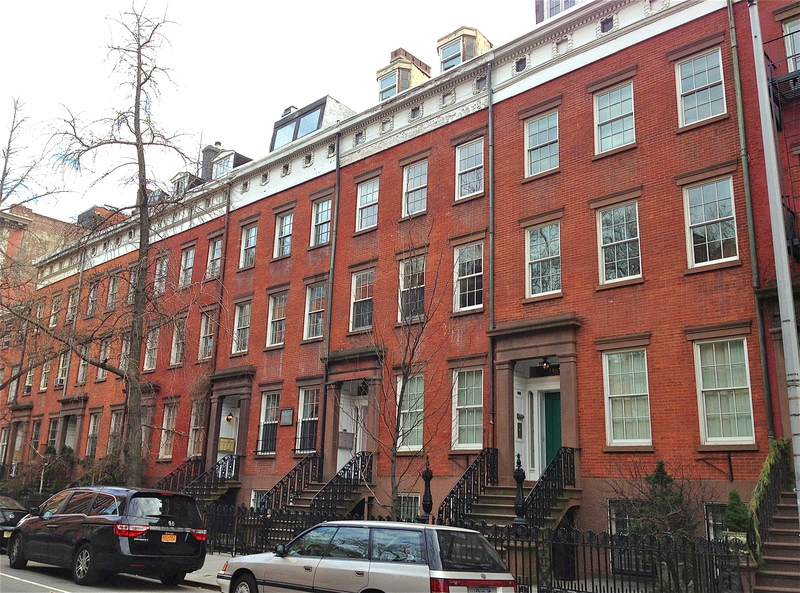 This is Cushman Row, seven red-brick beauties at numbers 406 to 418 completed in 1840. They’re among the oldest homes in Chelsea, considered to be the best examples of Greek Revival architecture in the city. The row was developed by Don Alonzo Cushman, a wealthy friend of Clement Clark Moore. That’s the same Moore who wrote “A Visit From St. Nicholas” and was the grandson of the 18th century British army captain who built his country estate here and named it after Chelsea Royal Hospital in London. Cushman lived in Greenwich Village. But as the Village filled up and the city moved northward, he bought property from Moore in Chelsea, which Moore hoped to develop into a graceful new residential neighborhood. On blocks like West 20th Street, with the neo-Gothic General Theological Seminary across the street, he succeeded. Some of the features that make Cushman row so impressive are the uniform 10-foot deep front yards, recessed doorways, attic windows encircled with decorative wreaths, and the wrought-iron handrails and yard railings. 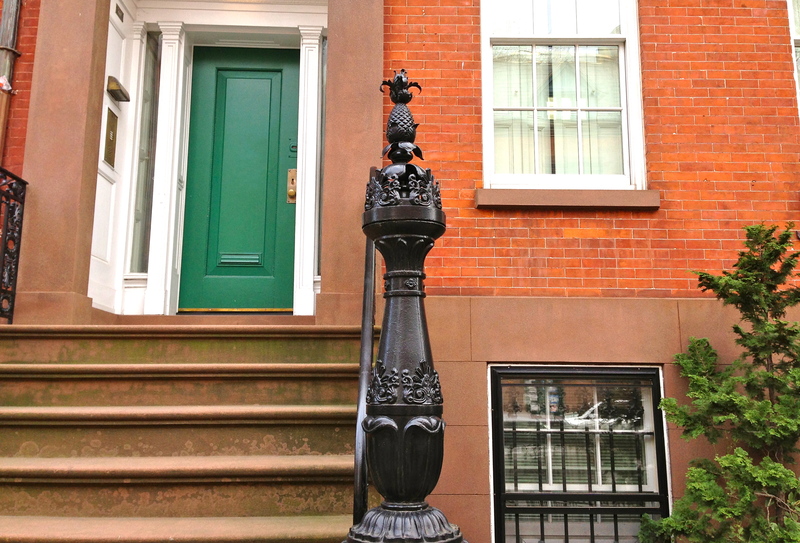 Check out the pineapple, a traditional symbol of hospitality, on the black iron newel at number 416. Stribling has a recent listing for this house, with photos of the interior and backyard. No price is given, but with real-estate taxes running around 30,000 a year, it’s going to cost a lot.